Grammarly Review 2019: Is it really the best tool for proofreading? No matter how great you are with your content, if your blog is full of grammatical and spelling errors it’s going to suffer a setback. This is where Grammarly comes to play its part. 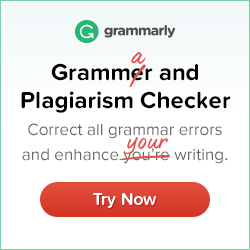 Though there are probably a number of tools and applications out there to help you with it, Grammarly is one of the most popular and best grammar, spelling and punctuation checker tool out there for all the right reasons! But just in case you have never heard of it, here’s a little introduction to what exactly Grammarly is and how does it help. Grammarly comes in the form of an online app where you can write directly or paste/download a previously written article for proofreading. Grammarly is an online grammar and punctuation tool that proofreads everything you write. You can download a free extension to your browser and it sits there and detects every spelling or grammatical errors and punctuation mistakes in whatever you write. It also has a plagiarism checker tool in the premium version of it. It is one of the most popular tools that is used by writers from around the globe. It doesn’t matter if you are a blogger, journalist, student, teacher or just writing for your own self, this little online tool helps everyone save time and write correct English the better way. But, is the free version of Grammarly good enough? Though there are a lot of good features in the free version too, let’s have a look at the overall best features it has to offer. It corrects mistakes while writing online in blogs, emails, Facebook, Twitter, Tumbler or any social handle for that matter. It helps you check your punctuations and sentence construction. Which is absolutely brilliant. I have this habit of not putting commas where necessary and this tool has worked like a boon for me. It has a free browser extension. Helps you check overuse of a particular word. Grammarly is that English teacher who sits right there with you and helps you write better articles with lesser mistakes. I have been using the free version of Grammarly for a while now, for writing my blogs. All I can say is, it has saved me from embarrassing spelling mistakes my friends kept pointing out after I posted them. But Is the free version good enough for you? The free features in Grammarly are definitely better than MS Word and the inbuilt spell check in WordPress and has definitely been worth downloading! In the free version, I get a lot of help and also a weekly writing update report. But for a frequent and fast writer like me, outsourcing articles, allowing guest blogs, or somebody who has to write to make a living, or someone whose first language is not English and still want to publish articles in English, the free version seems very limited. Instant grammar and spelling correction – It helps you work fast and efficient. Grammarly is automatic in correcting you as you draft making the process time efficient. Working on Grammarly is easy – The explanation process of Grammarly is easy to understand. When you make a mistake in a sentence it goes ahead to suggest with explanations, making it easier for you to understand. In the process, it helps you improve and write better. It can be customized according to your wish – You can turn off Grammarly for a certain document or a website, add your preferred words in the dictionary. And these features are available in the free version. The free version is very limited – If you are looking for a tool to transform your writing other than just better grammar and vocabulary, you might end up feeling that the free version is not enough. It does not work on Google docs – If you are someone who is using Google docs as your writing companion then Grammarly is not an option for you. But, they are currently beta-testing with Google doc so you might hear good news pretty soon. After using Grammarly for a while now, I don’t see myself writing without it. It’s easy, convenient and helps me write faster without making errors in spelling and grammar. I would highly recommend it to someone who needs to write better or want to learn how to write better.